I have earned awards for production in Sales reaching the Diamond Level every year since 2009 til Present. I have been the recipient of the 5 Star Service Award based on Customer Satisfaction for 5 consecutive years. I am certified to work with USAA Clients as well as Cartus Relocation. I have been ranked # 1 for Unit Sales in the Guilford Office for William Pitt Sotheby's since 2009 until Present. I have combined skills, unique strengths and proven results year after year. I sometimes work in conjunction with Stephen Etes when I have a client who needs remodeling work or 203K rehab loans. Our work can be viewed at www.Schoolsideremodeling.com It is very rewarding to help a client find the right house, and remodel that space into their dream home! My goal in 2017 is to list, sell and work with buyers to help them find the right home for them, their budget, their family needs. I will bring you through the process step by step making it as smoothly as I can (although real estate can sometimes be a bumpy ride!). The process should be enjoyable, and with my skills and good relationship with the buyer or seller, the goal is to make it a successful transaction for them. I have lived in the shoreline of CT most of my life. I graduated from UCONN with BS in Marketing and Finance. Followed by an MBA from Quinnipiac in Finance and Management. Putting these skills together with the background of owning a remodeling company, provides wonderful skills to sell and buy real estate for any buyer or seller, and any price point! Looking forward to working with you! Please check out my reviews on line, on my website, or email /call me anytime with questions! 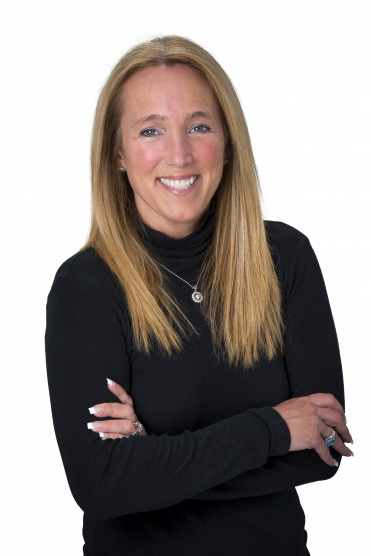 Highly likely to recommend 5 Of 5 06/02/2016 - user15763990 Bought a Single Family home in 2015 for approximately $300K in Guilford, CT. Local knowledge: 5 Process expertise: 5 Responsiveness: 5 Negotiation skills: 5 Jules is a consummate professional who combines broad industry knowledge with relentless attention to detail. My family has worked with Jules on both buying and selling our home and have referred her to friends without hesitation. Highly likely to recommend 5 Of 5 05/24/2016 - gianalpc Sold a Condo home in 2016 for approximately $350K in Guilford Center, Guilford, CT. Local knowledge: 5 Process expertise: 5 Responsiveness: 5 Negotiation skills: 5 We have used Jules as our agent to sell and buy two homes, as well as an office condo. She is well versed, is fun and easy to work with, and always accessible. Jules takes the time to guide her clients through all of the ups and downs of the process, remaining calm and supportive. Jules went to the town hall to research an issue on a house we were interested in before we even asked her about it. She goes the extra mile for her clients! She helped us find a rental in between moves, provided us with moving contacts, and is well respected throughout the community. We truly appreciate her and her work! Highly likely to recommend 5 Of 5 02/23/2016 - acbbmw Sold a Condo home in 2015 in Higganum, CT. Local knowledge: 5 Process expertise: 5 Responsiveness: 5 Negotiation skills: Can't say enough about Jules! She goes above and beyond to take care of her clients in both selling homes and finding the perfect new home! I highly recommend her for all your buying and selling needs. Extremely professional, hardworking and reliable. Highly likely to recommend 5 Of 5 02/11/2016 - paulie8579 Sold a Single Family home in 2015 for approximately $600K in Guilford, CT. Local knowledge: 5 Process expertise: 5 Responsiveness: 5 Negotiation skills: 5 Jules has an “old school” work ethic. She sold two of our homes and helped us purchase two more in the past 4 years!! She is a perfectionist when it comes to her own tasks and responsibilities and I’ve yet to see her do anything halfheartedly or not well. She is bright, super motivated, caring, compassionate, diligent and reliable. Highly likely to recommend 5 Of 5 10/14/2015 - Denise Talarczyk Sold a Single Family home in 2015 for approximately $350K in Clinton, CT. Local knowledge: 5 Process expertise: 5 Responsiveness: 5 Negotiation skills: 5 Selling my house for me was one of the most emotional events that I have yet to experience in my life. In the beginning I was overwhelmed with the thought of preparing the house for selling,. the process of showing it and all the paper work. I had met Jules through a friend of mine several years back and always knew she would be the one I wanted to sell my house and thank god she did. Jules from the very beginning held my hand and led the way. Her professionalism and knowledge of the process was outstanding. I know she went above and beyond on more then one occasion for me. Jules dedicated a great deal of time in showing the house and preparing all the paper work that was needed. In the end what I thought would be the hardest hurdle in my life became an open door. There is no doubt in my mind that having Jules sell my house was the best thing for me and would highly recommend her. Highly likely to recommend 5 Of 5 09/24/2015 - Karen Sold a Single Family home in 2015 for approximately $225K in Hamden, CT. Local knowledge: 5 Process expertise: 5 Responsiveness: 5 Negotiation skills: 5 Jules immediately made me feel comfortable in her ability to market and sell my home. She provided advice about what I should do to get the most value out of my house as I prepared it for sale, and was always responsive when I had questions. My house sold in 6 days for a great price. I couldn't be happier with my decision to go with Jules! Highly likely to recommend 5 Of 5 09/24/2015 - Shawn Smith Sold a home in 2015 in Guilford, CT. Local knowledge: 5 Process expertise: 5 Responsiveness: 5 Negotiation skills: 5 Wonderful experience working with Jules! She is knowledgeable and very personable. Sold my house in 2 days! She is particularly strong in her communication skills. Highly likely to recommend 5 Of 5 09/24/2015 - Lauren LoRicco Bought a home in 2015 in Plymouth Colony, GA. Local knowledge: 5 Process expertise: 5 Responsiveness: 5 Negotiation skills: 5 For a first time home buyer I had no idea what the process involved. Jules was fantastic! Friendly, bright, and on the ball! Always one step ahead! Responded to any question and request! Made this process a breeze! Highly recommended! Highly likely to recommend 5 Of 5 09/24/2015 - Kento Yasuhara Bought a home in 2015 in CT. Local knowledge: 5 Process expertise: 5 Responsiveness: 5 Negotiation skills: 5 I can not recommend Jules enough. She was highly responsive at all hours of the day, was always ready to talk and explain confusions about the process (my wife and I were first time home buyers), and talked though the negotiation process, even when we had a competitive bid process. She was always on our side and we felt so comfortable in the buying process. We would use her again if we had to buy or sell a home and we have recommended her to all of my friends who are looking to buy a home in the area. Highly likely to recommend 5 Of 5 03/14/2015 - Joe Bought a home in 2015. Local knowledge: 5 Process expertise: 5 Responsiveness: 5 Negotiation skills: 5 A very positive experience in working with Jules! Her focus on details, clear communication and follow up made the transaction go smoothly. I look forward to the next opportunity to work with her and I highly recommend her to anyone interested in buying or selling real estate. Highly likely to recommend 5 Of 5 03/06/2015 - Christina Caputo Bought a home in 2015. Local knowledge: 5 Process expertise: 5 Responsiveness: 5 Negotiation skills: 5 Jules made the process from start to finish so easy. I was a first time home buyer and had no idea where to begin the process and Jules was able to guide us throughout the entire process. She is very patient and always easy to reach. I would recommend her to anyone looking for a home. Highly likely to recommend 5 Of 5 08/19/2014 - Alicia Bought a Single Family home in 2014 for approximately $75K in Clinton, CT. Local knowledge: 5 Process expertise: 5 Responsiveness: 5 Negotiation skills: 5 Jules represented my fiance and me in purchasing our first home. Jules is an enthusiastic agent and a dedicated professional. Jules was always quick to arrange appointments, answers calls and messages, and answer any questions we had. Jules is an honest agent who always has her clients' best interests at heart from start to finish! Review Rating: 5 "After house hunting for almost 2 years, 2 deposits and failed inspections and several offers later my husband and I decided we needed a change. I met Jules previously at a house she was representing that we went to see (it wasn't the house for us) however her knowledge of homes on the shoreline and expertise in home improvements were exactly what we were looking for so when we thought who to go with I emailed her in tears of desperation to please take us on as a client. Our budget wasn't large but we had a list of must haves and anyone house shopping knows it is emotionally exhausting and not easy (especially when living out of your mother in laws home with your 1 year old child; it's hard not to settle for the first house you see) well she replied by the time I woke up the next morning. We seen several homes within a month. She wouldn't show me anything out of my budget and she didn't push me towards homes I was not interested in. She would say.. That's fine this isn't your house, there's a house for everyone and we will find it. Within 3 months we were closing on our dream house not only did she negotiate our closing cost into the offer she got it way under our budget which gave us wiggle room for renovations. She also set us up with her mortgage connection who took care of us with such patience and explained all our options. Now 2 years later we are still so happy where we ended up and are so grateful we did not settle for anything less. We think of Jules as a total rock star and recommend her to all our family or friends looking for professional, knowledgeable and efficient realtor. Once you meet her you will know why she is so successful in her profession."